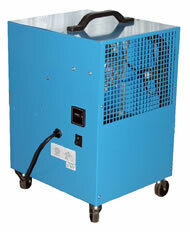 · Removes up to 40Litres of moisture per day. Quiet in operation, ideal for use in occupied dwellings. · Easy adjustable timer defrost allows unit to operate down to 0°C and up to 30°C. · Standard outlet stub for garden hose. · Unique pop-out drip tray feature to allow rapid and easy cleaning (blocked drip trays are the most common cause of leakage ) · Case easily removed to give access to all parts.